When new students register for our online astronomy courses, one of the first questions they ask me is if I can recommend a good telescope. 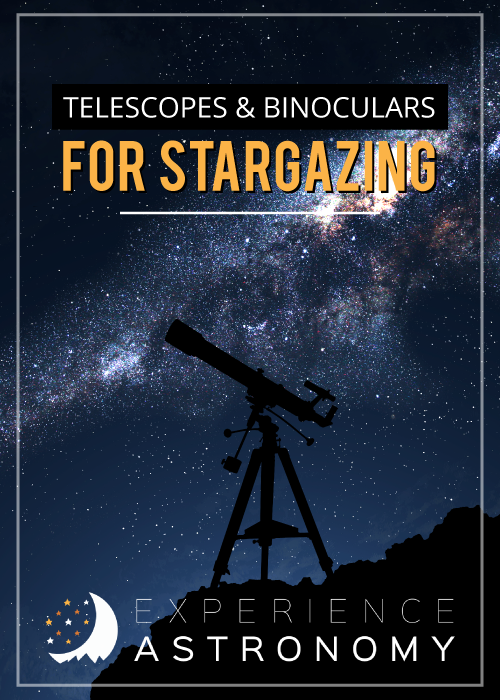 Our courses do not require use of a telescope—as that could make them cost-prohibitive for many families—but some students and parents still want a nice telescope to explore the sky. Here’s the thing: a good hobbyist telescope is often fairly expensive (around $500-$2000) and involves a big learning curve. If your thoughts on telescopes are “go big or go home,” then you’re not only going to need to fork over a lot of cash on the telescope and all the extras (power tank, carrying bag, scope, GPS, computer, etc. ), but you’re also committing to learning how it works. Is a hobbyist telescope cool? You bet. Does it take a lot of money and time? Absolutely. In between this would be a decent amateur telescope. This would be a great way to go. These are moderately priced ($300-500), and they are easier to use that a hobbyist telescope. If that’s your cup of tea, then see this list of amateur recommendations. If you’re looking for something good for both parents and kids, we recommend getting a good pair of sky-gazing binoculars. You’re using both eyes. This gives your brain a better view of the objects you see. The images are right-side-up. Telescopes (because they often use mirrors) invert the images you see, but what you see in binoculars are more intuitive as far as comparing what you see to a map of the sky. Kids find them easier to use—if you’ve ever asked a kid to close one eye and line up their other eye just the right place in a telescope eye-piece, you know what I’m talking about. There’s almost no set-up and take-down time. This is great for those cold nights when you just want a quick glance at the sky. Binoculars are versatile. If you ever want to use them for bird-watching or other nature-viewing, they can be used for that as well. Standard sky-viewing binoculars are 7-power—the same power used by the military today—and this would be good for a first-time buyer. But if you can find a 10 or 15 power, these will magnify things wonderfully! Make sure, whatever you buy, you also get a tripod to go with the binoculars. This will keep your image steady. 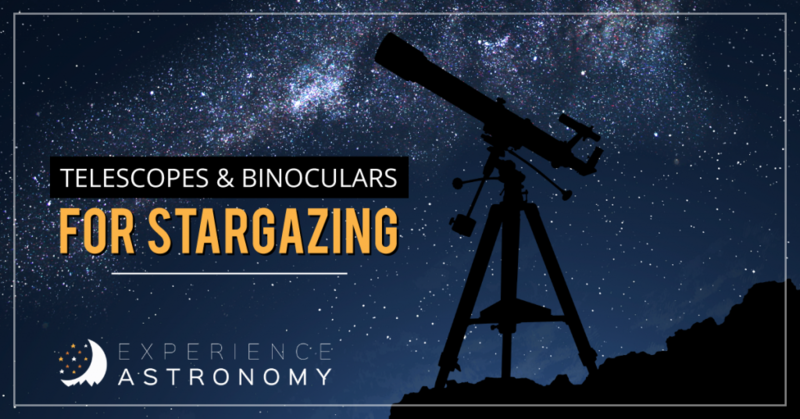 For more information about how to use binoculars for sky viewing, check out these articles by Earth and Sky and Sky and Telescope.